This is almost painfully funny. Hornby paints an expert picture of middle England suburbia and the moral pitfalls we all have. 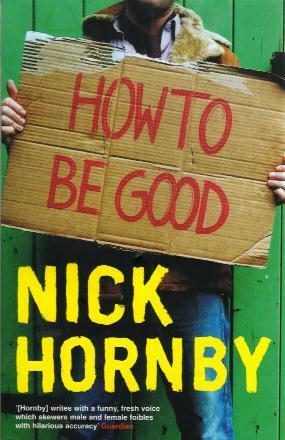 How to be Good is written from the point of view of Katie Carr, whose whole world is thrown upside down when her bitter and angry husband becomes Holloway's answer to Mama Theresa, and the only way she can justify her own transgressions against the increasingly bizarre goodwill behaviour of her husband is, "But I'm a doctor". Written with Hornby's characteristic comedic precision, the jokes only serve to highlight the sadness of Katie Carr's plight. I ate this story right up, and with pleasure.